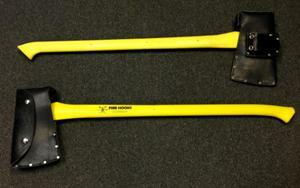 Our design allows for quick and easy deployment of the FIREMAXX tool. 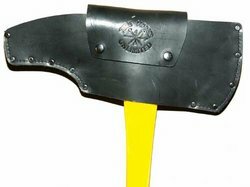 Our T-Axe sheath was originally designed for the T-AXE and small axe models. However it has become a perfect fit for the FIREMAXX tool! 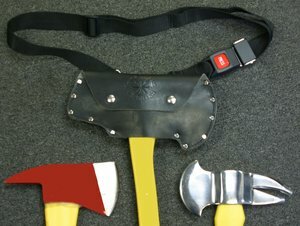 The T-Axe sheath design allows the user to carry the tool over his shoulder via the shoulder strap, around their waist, or by utilizing the belt loop. 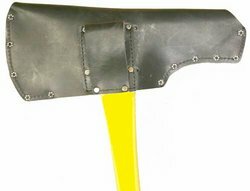 Made of genuine leather and offered with a durable seat belt quick release strap, this sheath is a winner! 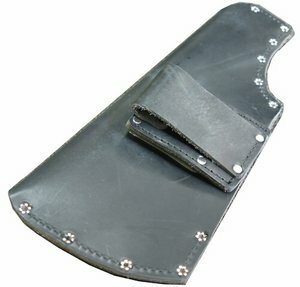 Our leather sheath, specifically designed for the Firemaxx Tool. 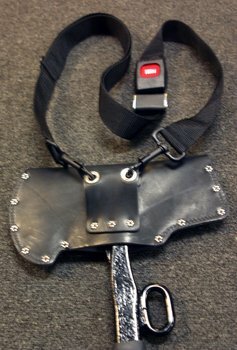 * Offers a 360-degree swivel belt loop for carrying on a truckman's belt. 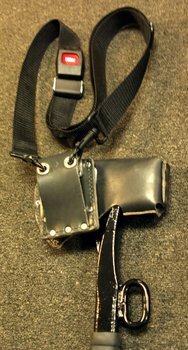 * Features the option for attaching a shoulder strap with quick release. 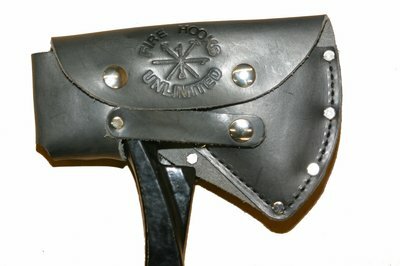 * Offers a belt loop for carrying on a truckman's belt. 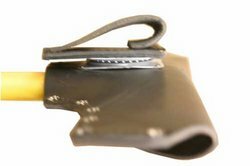 © 2015 Fire Hooks Unlimited, Inc.